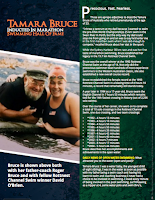 The International Marathon Swimming Hall of Fame (IMSHOF) Induction Ceremony will take place on April 22nd 2017. The stunning venue will be The Chapel, part of the Beaumont Estate in Old Windsor, England. It is close to Heathrow Airport. 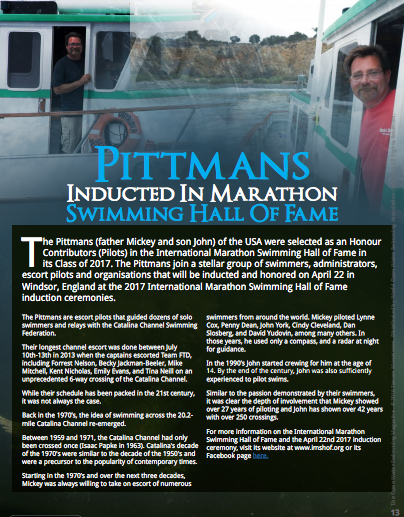 "For decades, the ceremony was a lunch held at the International Swimming Hall of Fame in Fort Lauderdale, Florida," explains Steven Munatones. "Then we started to move the ceremonies around the United States, including a dinner at the United Nations Building in New York City. It was a way to get more people involved and aware of the existence and activities of the Hall of Fame." Ned Denison adds, "This event was historically in the autumn, but we are making a permanent move to the spring. This location caters for nearly 50 honourees who are less than six hours drive from the location. The hotel has reserved a block of rooms at a rates of £89 for double occupancy including breakfast. Call +44 1753 640000 or email reservations.beaumont@principal-hayley.com to ask for a room in the Beaumont Estate. 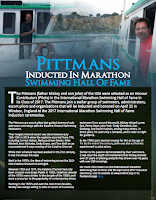 Cite the International Marathon Swimming Hall of Fame special rate Block Code INTE220417. But note that you can not use this code on the on-line reservation system. 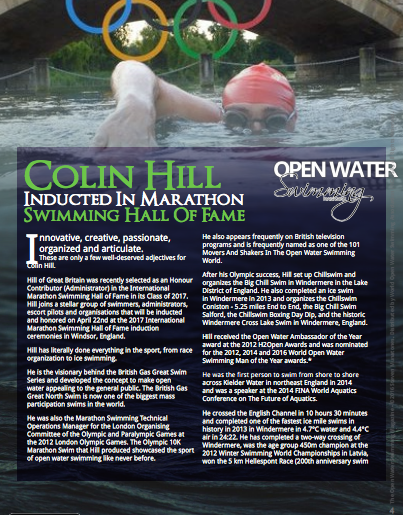 After the ceremonies on the following morning, there will be an International Marathon Swimming Hall of Fame Congress. There is no fee involved and all attendees from the Induction Ceremony are welcome. Other inductees or committee members of Honour Organisations unable to attend the evening session on April 22nd will be welcome at the April 23rd Congress depending on space. 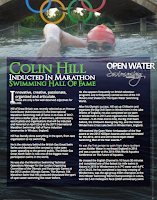 Please contact me at ned.denison@corkopenwater.com for a special invitation." The goals of the IMSHOF Congress are to (1) meet the Executive Committee and other members of the Voting Panel* in an informal setting, (2) better understand the organisation, (3) gain an insight into the policies and thinking behind recent difficult topics including failing a WADA-type performance-enhancing drug test and swim customs of longer size, buoyancy and compression, (4) provide feedback of myriad topics. "Participation on the promotion and activities of the IMSHOF, the Executive Committee and Voting Panels are not restricted to a few members. New assistance and representation is always needed – your attendance and participation will make clear your interest," summarized Denison. The location of The Chapel is here. Registration is available here. 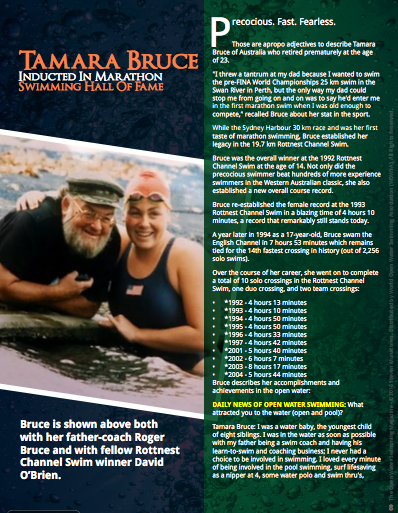 Articles on the inductees are courtesy of the Open Water Swimming Magazine. * Voting panel members includes Nick Adams, Mike Read, Lynn Blouin, Petar Stoychev, Tamara Bruce, Peter Bales, Melissa Cunningham, Richard Broer, Penny Dean, Sid Cassidy, Kathrin Lammers, Sylvia Dalotto, Yuko Matsuzaki, Marcella McDonald, Evan Morrison, Stephane Lecat, David O'Brien, Tim Johnson, Philip Rush, Kevin Murphy, Skip Storch, Vojislav Mijic, Dan Simonelli, Greg Streppel, and Jacquet Tuset. Executive Committee members who also vote include Chris Guesdon, Beth Yudovin, Ned Denison and Dale Petranech.